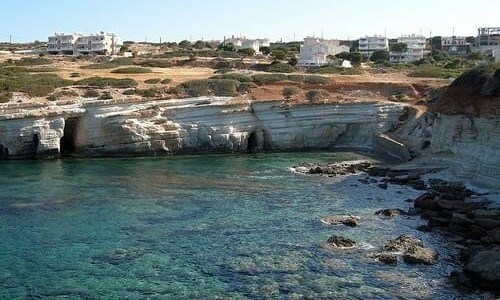 Kato Pyrgos is the head village of the Tilliria area. 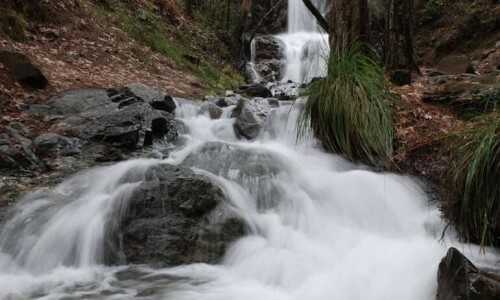 It is built at the bottom of the Troodos Mountains, at the most beautiful and largest valley in the area. Along a crystal beach whose name came from the word Troulli, a small building on a hill which looks like a tower. In reality Troulli was a watchtower during the Ruling of the Venetian. It is now being reconstructed by the department of Antiquities. 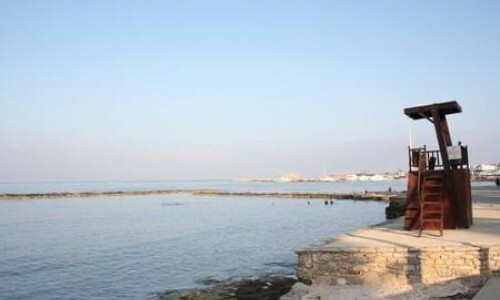 The community belongs to the district of Nicosia and 111 kilometres from it which is about an hour and a half by car. Now that the road of Pyrgos-Limnitis has opened the distance from Nicosia has decreased to about 40-50 minutes. 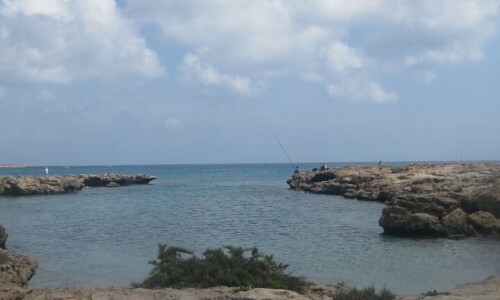 From Paphos the distance is again, 111 kilometres, while Polis Chrysochous is about 50 minutes. The community has about 1500 residents while during the summer months, there are many holidaymakers who stay in the village. 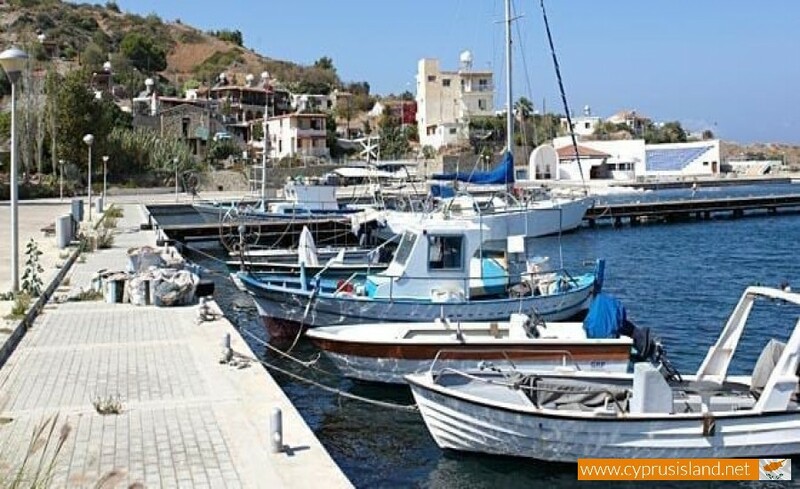 Especially during the summer there are many foreign tourists which go to Pyrgos to enjoy the clean sea, the mountain air, the fresh fish and the traditional hospitality of the local residents. There are many modern and fully equipped hotels along the beach which can accommodate many foreign tourists such as the Pyrgos, Pyrgiana , Tilos and Ifigenia. During the summer months, July and August there are music and dance nights at the village square which are organised by the community board of Kato Pyrgos. The heart of the community is the village square in which a very old oak tree is planted. It is the ornament and the pride of the area. It is 110 years old, it was planted in 1898 and has a height of 20 metres and circumference of 425 cm. There are also two holly temples. The older temple is dedicated to Agia Irene and the second newer temple is dedicated to the Saints Konstantino and Eleni. 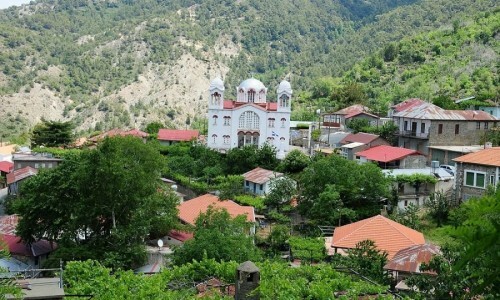 Other chapels in the area are Agios Stylianos, Panagia Galoktisti and Prophet Elias which are all built in a natural and beautiful environment. Archaeological excavations which were made in Pyrgo Tilirias brought light to a series of findings from the mediaeval period, such as the medieval castle, tombs and other smaller finding such as a cross and a pin made from copper. There were also some ceramic and metal items such as ceramic pots, a ring and coins. 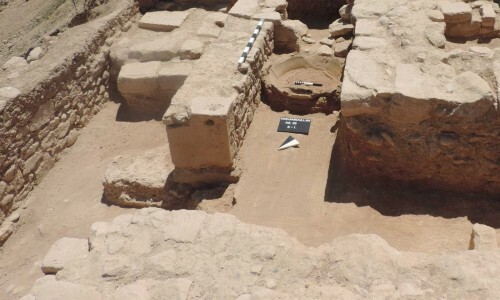 Moreover in the village , and in particular in the location Palialona Valley , excavations revealed tombs which were from the Hellenistic period and were used until the roman years possibly even later. The economic contribution from the Holly Mitropoli of Kykkos was very important for the carrying out of the excavations. In concern to education in Pyrgo, there is a kindergarten, a primary school, and a gymnasium - lycem. At the primary school there are about 80 students, while at the gymnasium-lyceum there are about 88 students. The kindergarten, the primary school and the gymnasium – lyceum have been completely constructed by the rules of the Ministry of Education and are fully equipped. The church of Agia Irene is located in the village square and was built in 1923 after many attempts from the board as well as the residents. It operated on the 19th of May 1955 by the Mitropoliti of Kerynia, Kyprianos with expenses covered by Nikola Vasiliou and his wife Epistimi. The church of Agia Irene only operates on the day of its celebration which is the 5th of May, while before its construction the main church of the community was that of Saints Konstantinou and Eleni. The main church of the community is dedicated to the saints Konstantinos and Eleni, and is located in the village square. It is was renovated and reconstructed recently from the Holly Mitropoli of Kykkou and Tilirias. In our community there is a small church dedicated to Saint Stylianos. 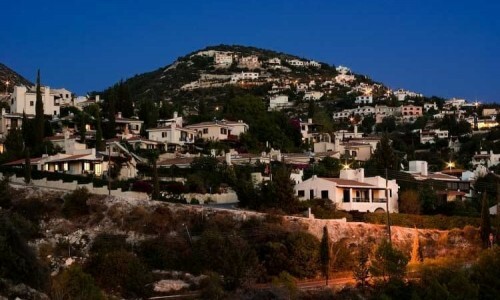 It is built about 10 minutes from the village centre in Nikolaou Niafa Road. 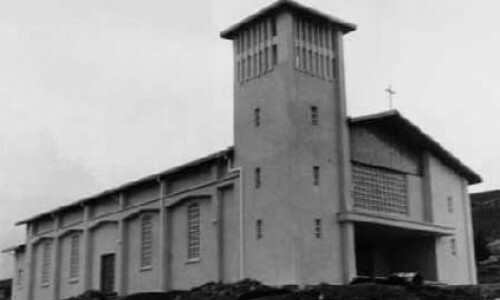 The church was built on a private block of land under the initiative of the owner and his family. The church only operated on the day of the Saint’s celebration on the 26th of November. 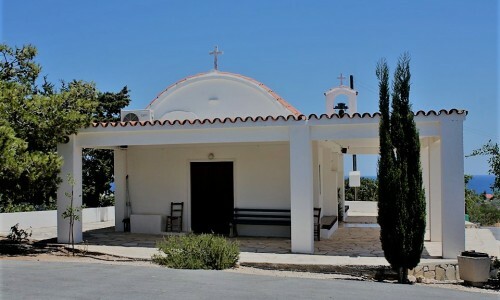 The chapel is located on an altitude between the villages Kato and Pano Pyrgos. 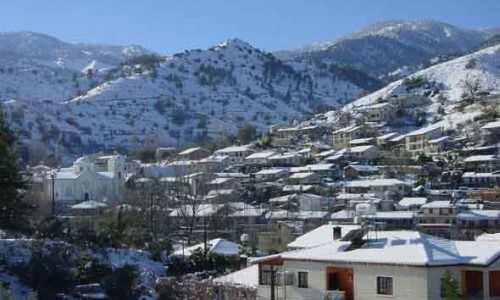 According to the old residents of the village, the name Galoktisti was given due to the face that it was built with milk. The department of antiquities took over the restoration of the chapel about two to three years ago. It must be noted that in the interior of the chapel the decoration has been restored. 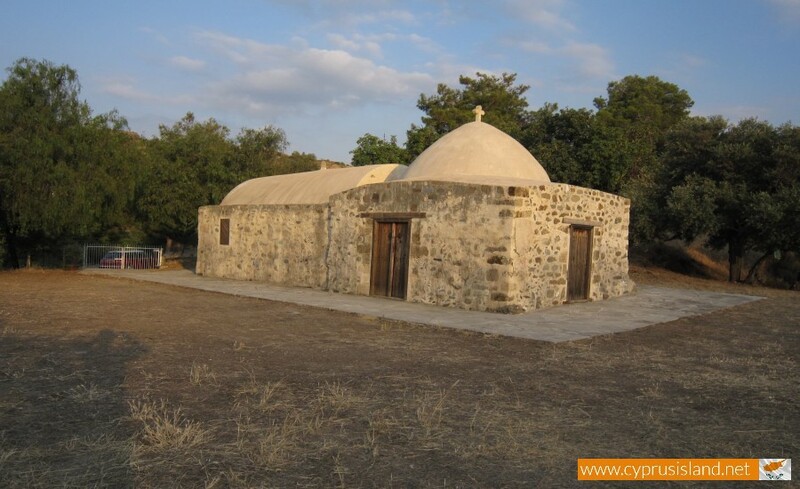 It is made up of two phases: the 12th and the 14th centuries and it is one of the oldest chapels built in Cyprus. 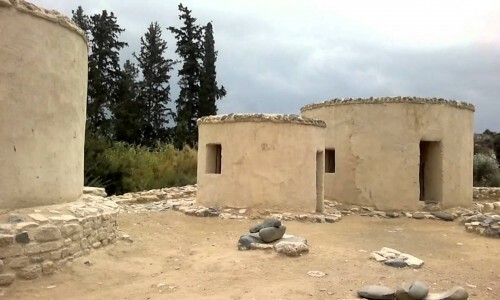 According to the residents, in the area which the chapel is now built, there was a village known as the Horkoui and many shepherds lived in it. During one year there was a great illness upon the sheep and they prayed to the Virgin Mary to heal them. The Virgin helped them and then they would rebuild the ruined church with milk. Many miracles are connected with this chapel. 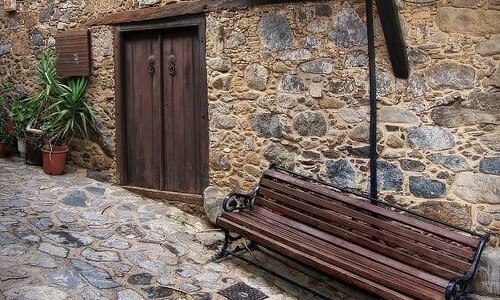 One of the miracles which is said in the village is the following: One day a family from the Potamo tou Kambou came to the chapel of Panagia Galoktisti because the mother did not have any milk to give to her child. They prayed and instantly milk began to run from the woman’s breast. Also when the Christians wanted to ask God for something they would pray all night at the icon of the Virgin Mary. One night they fell asleep and when they woke up they saw that the icon was missing. Then they began to cry because they thought that the Turks had taken it. When they returned to their chapel they found it there filled with wild flowers and lit candles. Since then the icon is located in the temple of Saints Konstantinos and Eleni , in the centre of the village for security purposes. A small temple which is located about a kilometre northwest from the community of Pano Pyrgos Tillirias in the Nicosia district. It was constructed in 1917 on older ruins of a medieval temple in two phases. Externally it has dimensions of 6.35x11.70 metres. As a construction material rectangular stones were used from the nearby archaeological area called Avli. That is where the medieval mansion of the local Feud owner was. The temple has got a wooden roof with roof tiles. Two doors to the west and south walls lead to the interior. A window is located on the north wall. There is a carved cross placed on the west wall. At last we must mention that the access to the chapel is easy. 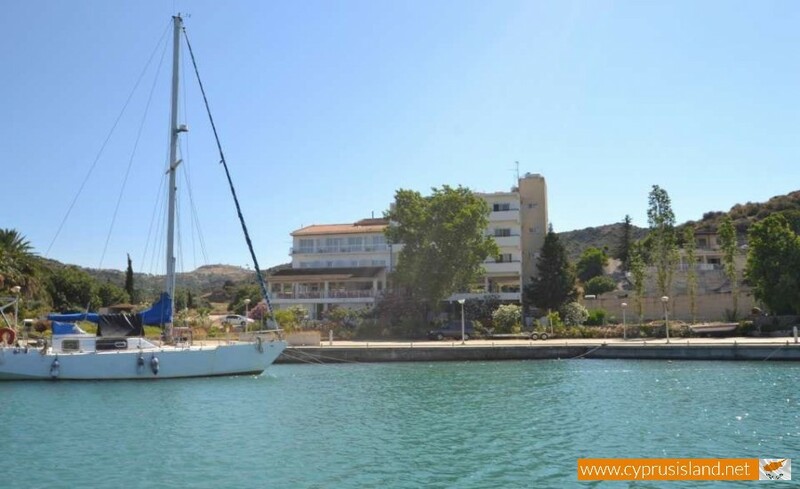 Pyrgos Tillirias is a village with a majestic view which combines both mountain and sea. The village is built in a prosperous valley between the mountains and the blue sea of the Morphou Valley. There are not many villages which have managed to keep their natural beauties over the years. The hills of the village are covered in a green colour of pine trees and mixed with the plantations of the valley, the peach and lemon trees which blend in with the crystal beach and the small sandy bay. 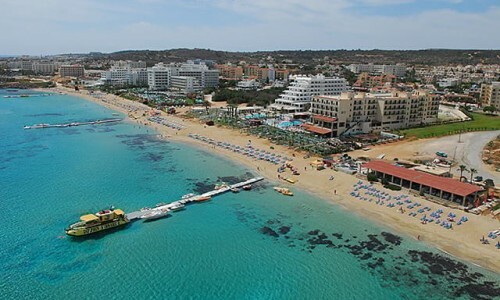 The beach has a length of about three kilometres and is an ideal place for holidays. 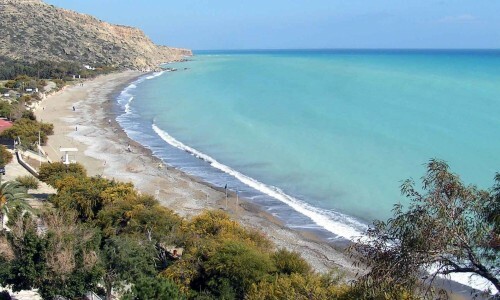 The most well-known beaches in Pyrgos are: Omega, Apothikes and Krioneri. The name of the first beach Omega is connected to the letter Ω which is created as the beach extends to the sea. 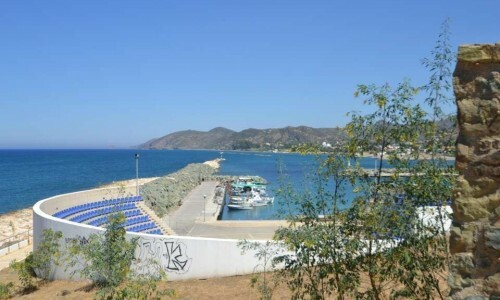 The second beach known as Apothikes owes its name to the construction of 1920 which was used as a storage unit for agriculture products since 1927. 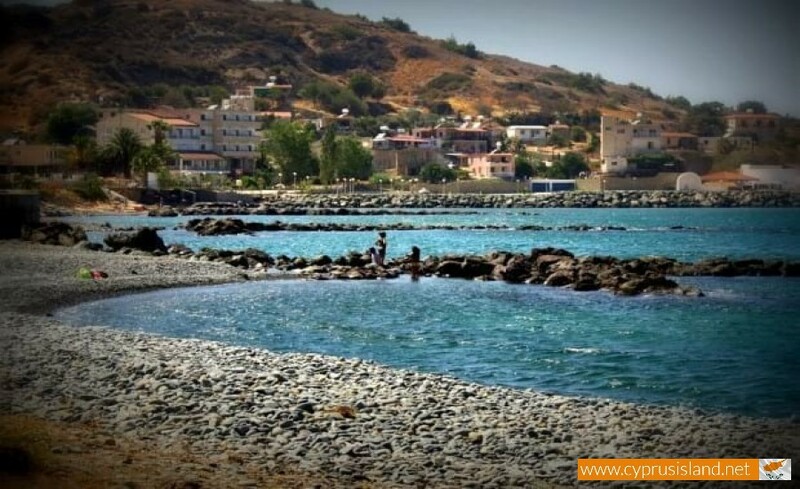 The last beach called Krioneri is connected to the water which flows in the area and is then rushed to the sea. The beauty of Kato Pyrgos Tillirias is completed by three rivers which pass through the village. 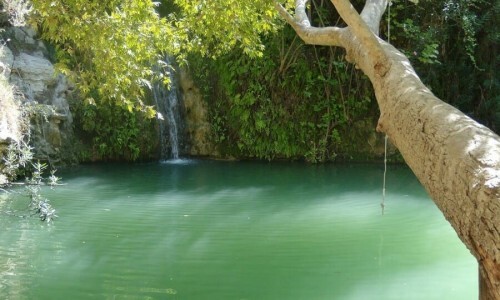 The river Flegias which was later named Flevas comes from the mountains of Stavrou tis Psokas which is in the forest of Paphos, the locations Seladi Skotomenou and Seladi Finouklis, the area Appidi and the ex-Turkish village Vrodissia. 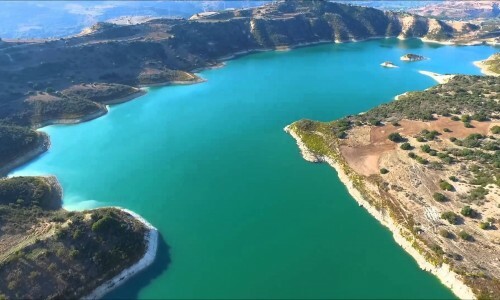 During the summer months , the river passed through the location Glegia and then ends up at Kato Pyrgos , more specifically in the area Dasos and then ends up at sea. At the same time this river also enriches the underwater water tanks of Kato Pyrgos which is where the farmers take water from to use during the summer months. The Potamoudi is the other river of Kato Pyrgos whose name is connected with the small distance in length as well as width. It comes from Pano Pyrgos and more specifically from the location Partazis which is in the forest of Paphos. It goes through the villages Pano Pyrgos, Kato Pyrgos and ends up at Choletres. It fills up the underwater water tanks at a small point from which water is taken for agriculture. 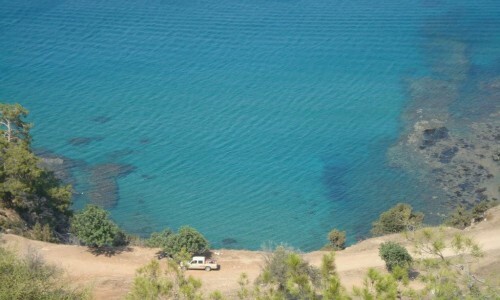 The other river of Pyrgos Tillirias is Katouris. It is a river which flows towards the sea even with very little rainfall. It originates from the area Hondros which is located in the Paphos forest and goes through the location Mesolaona from where the damn in the area fills up from. Any water which is left after the overfilling of the damn along with the small river Vournon then goes towards the village Kato Pyrgos and ends up in the sea at the location Kamilarkon. This river also provides water to the underwater tanks for agriculture.